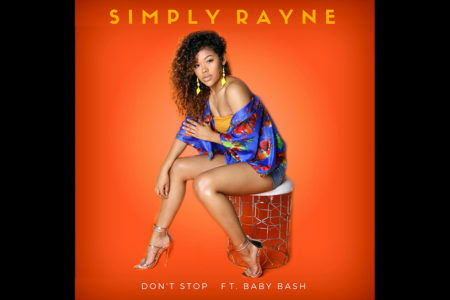 Simply Rayne’s “Don’t Stop” features the inimitable style of Baby Bash, making for a track that successfully blends together the present with the recent past. The rich vocal style of Simply Rayne calls back to the days of Destiny’s Child, while the island beats that comprise the back of Don’t Stop does a lot to counter one’s SAD. Listeners cannot help but have a smile on their face by the time that Don’t Stop concludes; with a multiply-layered approach that ties together R&B, reggae, and EDM music, there’s something for nearly everyone to appreciate on Simply Rayne’s latest single.